Lots of people in politics cherry-pick favorable polls. President Trump is no exception. On Friday, Trump tweeted about a poll from Rasmussen Reports that put his approval rating at 50 percent. 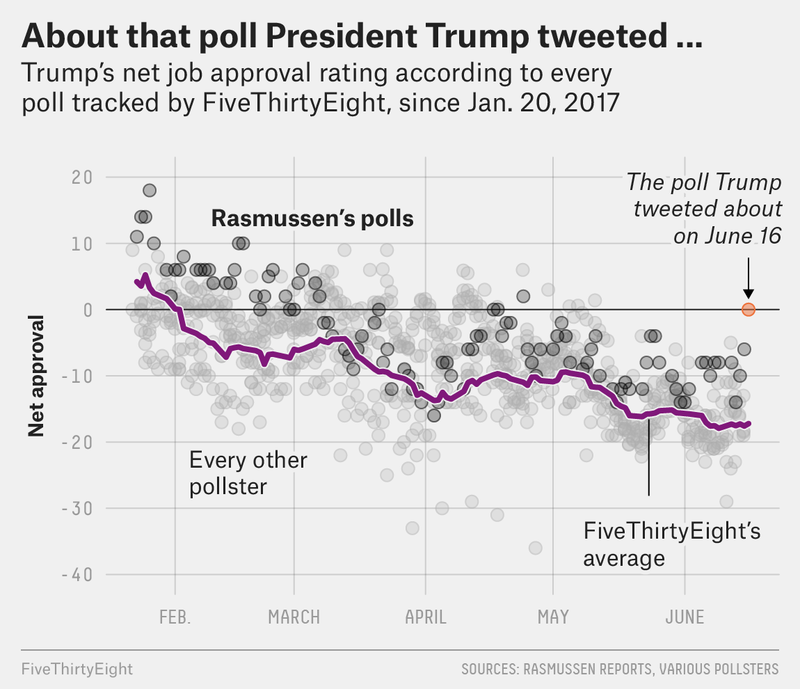 That poll, however, was one of his better results from a pollster that tends to find better results for Trump, compared to the many approval polls that we track daily.